Today I started digging into the bike to deal with a few things. Also trying to take note of any mods that have already been done to the bike so that I am aware of them and can check them off of my "To do" checklist if they were on there. 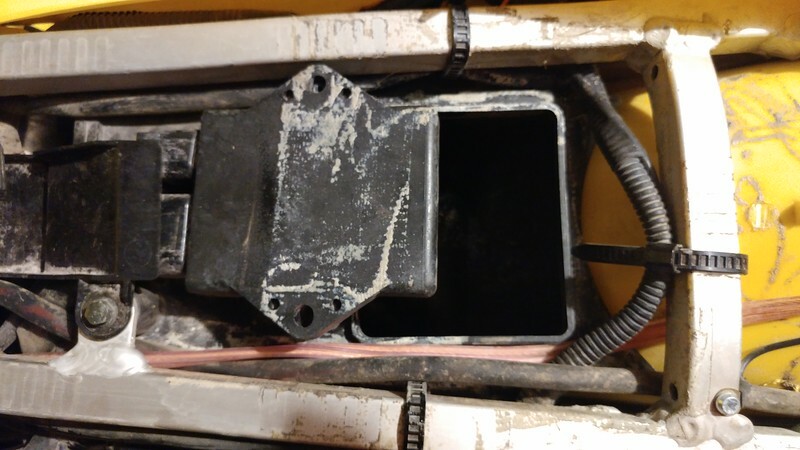 First up, off comes the seat and yes it's dirty but that's clearly the 3x3 airbox mod. Should be breathing very easily now and I'll bet that since it's running well, the carb has a jet kit installed. I'll confirm that at a later date. 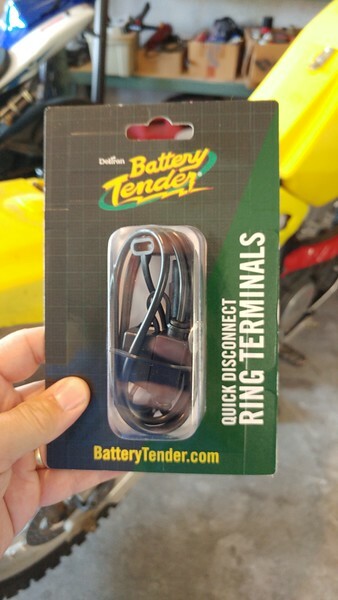 Next up was to hook up a battery tender pigtail to the battery so I can use my battery tenders to keep . I picked this up at O'Reilly's around the corner so it was convenient. 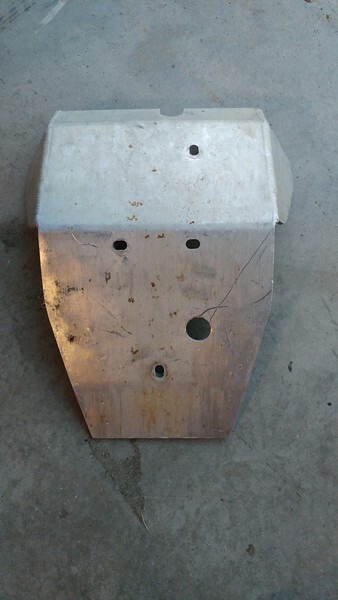 Verified the bike has a skid plate. Not sure of the brand but it's pretty stout. Has a few dings and even after hitting it with a pressure washer it's still discolored and dirty, but who cares. I did find one of the mounting bolts was missing so I'll be picking up a new one. Lastly I decided to do the "Starter clutch and stator bolt lock tite mod." 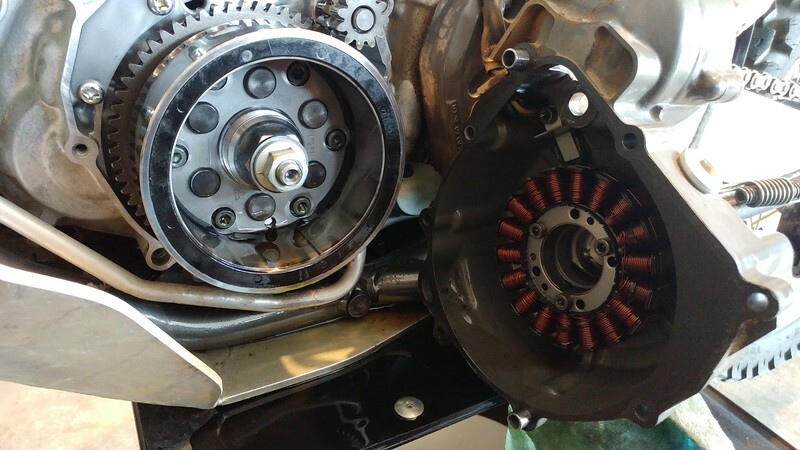 Older models of the DRZ have had issues with the bolts backing out and damaging the stator. Later models Suzuki put lock tite on them. Common fix is to pull them and put your own lock tite on them. Since this is an older bike I figured I should do this. Thankfully all bolts were snug in their places so no damage done. Pulled them all and gave them a drop of lock tite. More oil came out than expected so I made a mess, which is expected of me. But now at least I know this one is done.